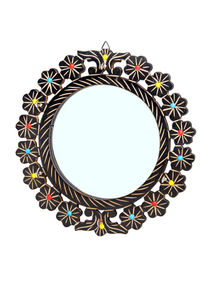 Give a modern touch to your wall with this hand carved wall mirror. Sporting attractive design, they are sure to decorate your wall. A must-have in every home, you can pick your favourite one from the wide range of options. 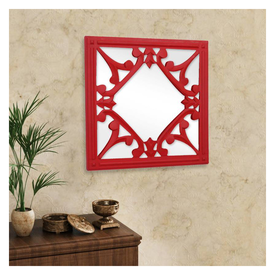 Give a modern touch to your wall with this hand carved wall mirror. Sporting attractive design, they are sure to decorate your wall. A must-have in every home, you can pick your favourite one from the wide range of options.